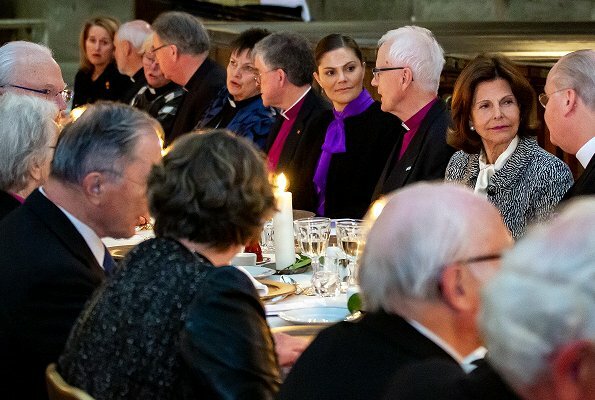 On April 9, 2019, Before the Holy Week, King Carl Gustaf, Queen Silvia and Crown Princess Victoria of Sweden, together with priests attached to the court, attended a Lovefeast at the Royal Chapel in the Stockholm Royal Palace. The Agape feast or Lovefeast is a communal meal shared among Christians.The Lovefeast has originated in the early Church and, it was a time of fellowship for believers. 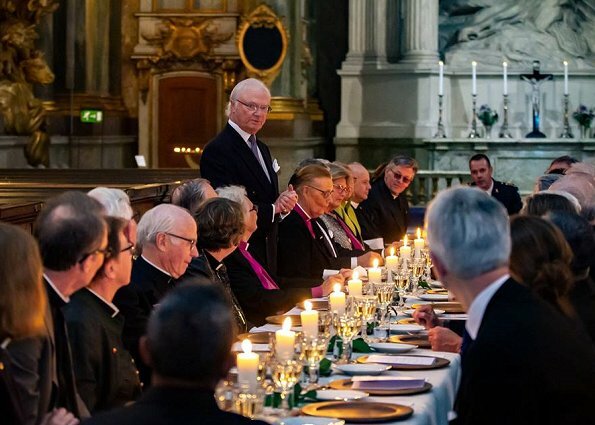 The Lovefeast refers to a Christian ritual meal distinct from the Lord's Supper. The Lovefeast seeks to strengthen the bonds and the spirit of harmony. 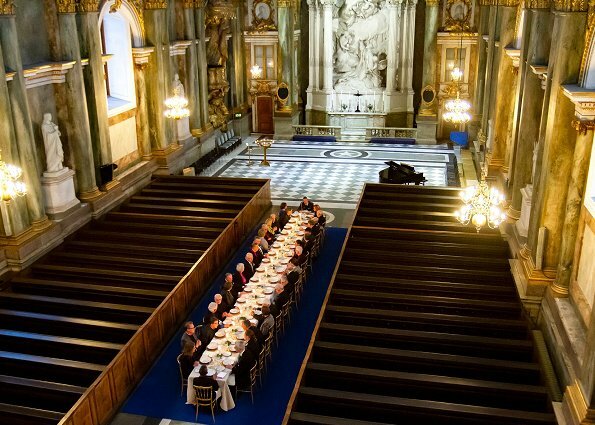 What a nice Tradition, this Love feast is done in the Chapel . From what one can see, the Q and CPss look very lovely. Happy Easter to everyone. Bei uns findet die Agape immer am Gründonnerstag statt. Es symbolisiert das letzte Abendmahl Jesu mit seinen Jüngern vor seiner Kreuzigung. Wünsche euch allen auch ein frohes Osterfest. Really wonderful tradition indead. And happy Easter to all of you from me too. Victoria would look so much better with her hair loose. Where do you see loose hair? Well, it has been a LONG time since we have seen a looser style, but, yes it was a much better look for her than slicked back so tightly. Loose hair style wouldn't suit her strong facial features. I think she has found her style and probably also feels comfortable with her hair as it is now. I tend to agree with anon12.24!